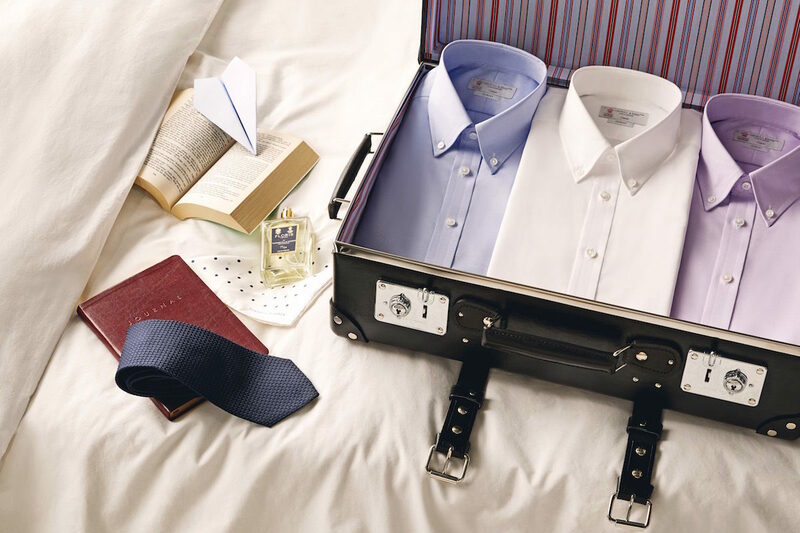 The esteemed Royal Warrant holder Turnbull & Asser has introduced a new range of shirts that make life for the jet setting man of the world a whole lot easier. The working week poses many unexpected challenges, both in and out of the boardroom, and as a result preparation and presentation are both crucially important. As such, the first box to tick off each morning is having a clean and ironed shirt that’s appropriate for business. 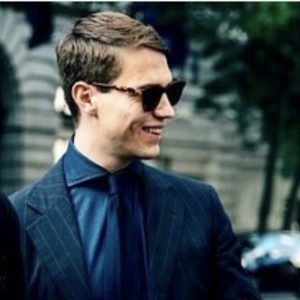 We trust that your shirts are always clean but soaring through time zones and battling with varying climates can easily ruffle a shirt and ultimately make you look scruffy, which is of course a sin. Thankfully, Turnbull & Asser’s new collection doesn't ruffle or crease. Enter the Journey Shirt. The Journey Shirt collection comes in a variety of finely-milled cloths that have been milled by Thomas Mason. The famed British mill was founded in 1796 in Leeds, Yorkshire, and for the next 200 years the company wove cloth of an incredible standard and became a favourite among tailors and shirtmakers, including Turnbull & Asser. In 1992, the textile behemoth Albini acquired the Leeds-based mill and ever since Thomas Mason’s cloth has been proudly woven in Bergamo, Italy. Amazingly, the company is now run by the fifth generation of the family having been founded in 1876. The collection consists of 11 designs in various easy-wearing weaves, colours and patterns using an extra-long cotton staple. There’s a tradition twill, a twill 2-fold, a linen and an Oxford to choose from. How, might you ask, is it possible that a range of shirts coming in a range of fabrics can all hold the same crease-resistant properties? Well, according to Steven Quin, head of bespoke at Turnbull & Asser, “The yarn itself is treated before the fabric is woven, which increases its resistance to creasing whilst maintaining the richness that is enjoyed with other pure cotton fabrics.” As a result of this special process, the yarns are neatly aligned and brightened and resultantly appear fresh. Milled in Italy and constructed by hand in Turnbull & Asser’s factory, the Journey Shirt collection consists of the best of both sartorial worlds and should be your new companion when travelling on business. Don’t forget to pair them with appropriate accessories, such as cufflinks, ties and a fine watch. The shirts are available online via turnbullandasser.com and in-store, priced at £195.00.